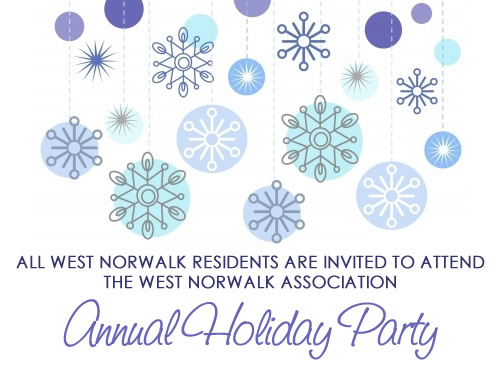 Celebrate the Holiday Spirit with your West Norwalk neighbors at this annual event which is unique to our community. Meet new neighbors! Bring the kids! Enjoy delicious food (and a cash bar) in the beautifully decorated holiday atmosphere at Dolce Norwalk. There will be a $10.00 fee per adult for the WNA Holiday party, because the Association can no longer afford to hold this event in the Dolce venue without a charge to offset some of the cost. The 2015 WNA dues alone will not cover the admittance to the holiday party. We hope that you will renew your membership for 2015 at this event as many people regularly do. As we stated in our Newsletter and at the Annual Meeting, the dues levels for 2015 are: $40.00 for resident; $60.00 for Good Neighbor. ; $100.00 for Community Builder. 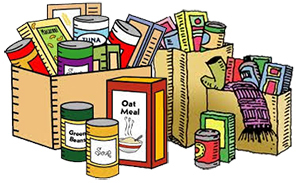 The WNA was founded in 1947 and acts as a “Quality of Life” organization with volunteers providing their time for “Good Deeds” such as cleanups, scholarships, beautifications projects, and political forums. The Board members also attend meetings and provide information about zoning issues, traffic problems, and other concerns raised by members of the Association.